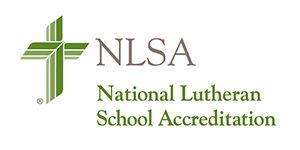 St. Paul’s Lutheran School was established in 1961 and has sustained a reputation of academic excellence spanning over 55 years. Our campus can hold 240 students, and our facilities include a soccer field, preschool playground, basketball courts, and outdoor lunch area for students. We have maintained a high caliber Preschool Program throughout our history, and in 2009 we began accepting I-20 students into our K-8 program. In 2015 we downsized our existing program and closed our local K-8 classes, but a new plan was born. In September 2016, we dedicated our new International Language School (ILS). This program serves our International Student population, and creates opportunities to connect across the globe.